NASA’s Mars Curiosity rover has beamed back a spectacular panorama showing its path across the floor of Gale Crater since landing in 2012. 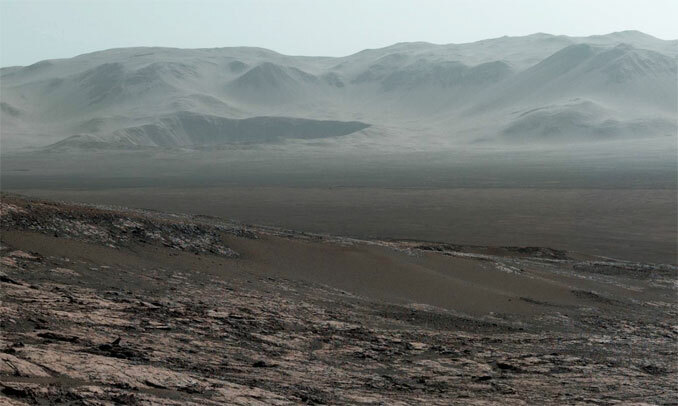 The view from the north flank of Mount Sharp, an area known as Vera Rubin Ridge, shows features as far away as 85 kilometers (about 50 miles), well beyond the northern rim of the crater some 30 kilometers (about 20 miles) from the rover. 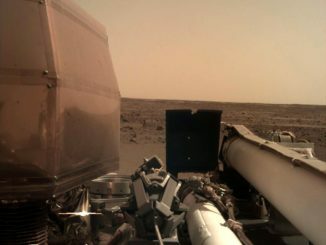 The panorama was captured by Curiosity’s Mast Camera, or Mastcam, which took the images about three months ago during a period of clear skies just before the winter solstice in Mars’ northern hemisphere. Curiosity’s Mastcam snapped the panorama images from a location 327 meters (1,073 feet) above the rover’s landing site, which is out of view behind a slight rise. But nearby Yellowknife Bay, where Curiosity found carbon compounds and evidence of an ancient freshwater lake environment, is visible, along with weathered relics of ancient stream beds that once carried water into Gale Crater some three billion years ago. The site from which these images were taken sits 1,073 feet (327 meters) in elevation above Curiosity’s landing site. 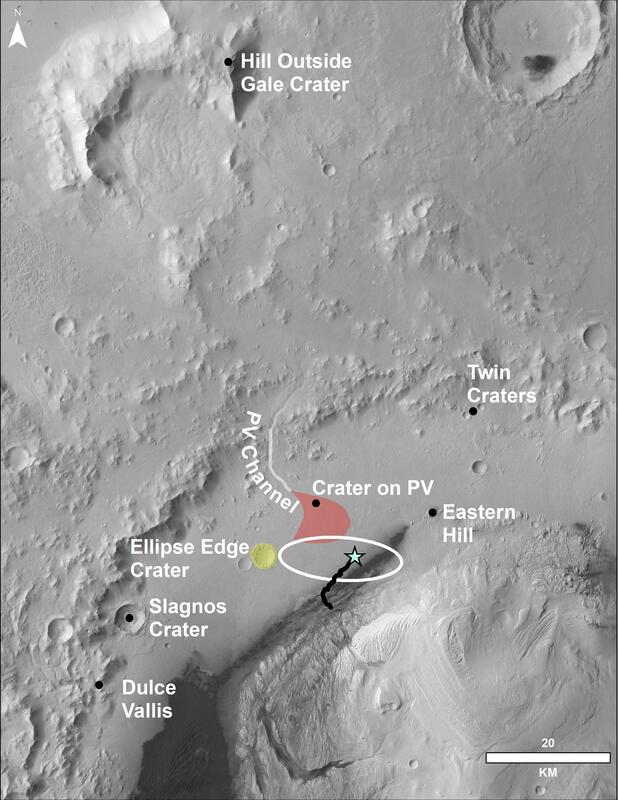 Since then, the rover has climbed another 26 meters (85 feet) and captured images for another panorama looking uphill toward its next major destination, an area where orbital images indicate clays are present. 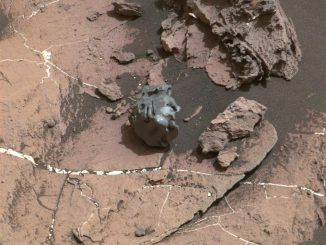 Before leaving Vera Rubin Ridge, however, scientists plan to use Curiosity’s drill to collect rock and soil samples for the first time since 2016 when a problem in the mechanism was discovered. Engineers have devised a work-around that should allow safe drilling operations to continue. 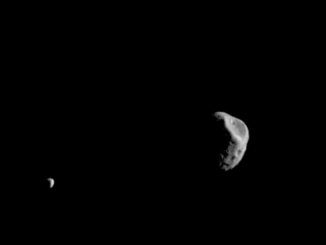 The Martian moons Phobos and Deimos appear to be in motion in this animation created from 19 images taken by NASA’s orbiting Mars Odyssey probe.